What makes The Riviera one of its kind? If you are planning your dream wedding, then the first thing that turns it into reality is the wedding venue… which should not be less than a dreamy setting. 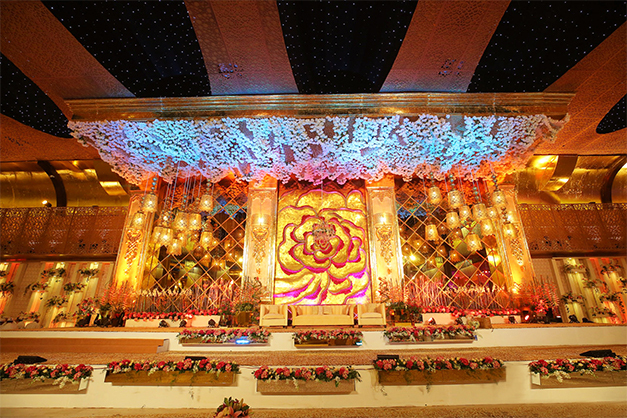 FNP Gardens take great pride in offering opulent wedding venues for such ethereal weddings. The most opulent of all is The Riviera at Ambience Island, Gurugram. 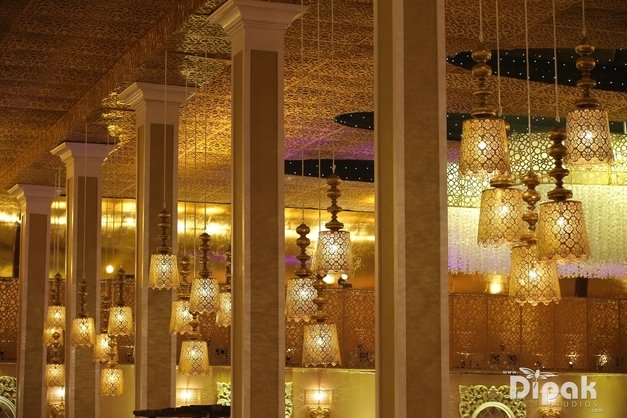 This affluent venue is indeed one of its kind as each and every detail of this venue exudes sheer luxury. 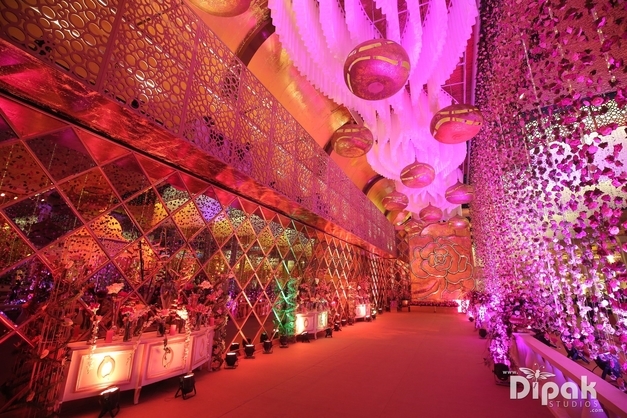 The whole venue is designed on the lines an “Oval ballroom” theme which can be seen all the elements of the venue. 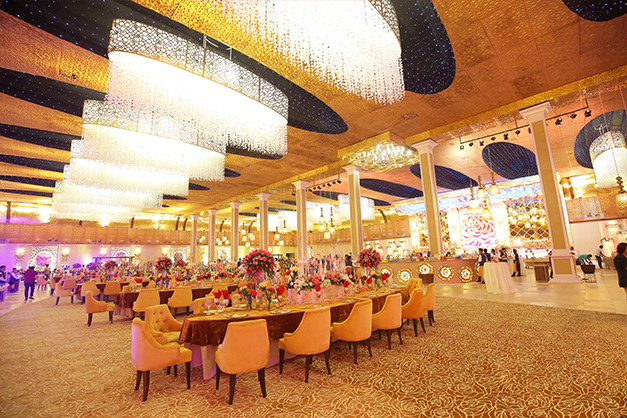 The ceiling is enough to add that X-factor to the wedding decor, and the printed flooring and the gorgeous oval as well as bell shaped chandeliers that are hanging making this venue even more luxurious…make it one of a kind! One of the key highlights that steals the show its breathtaking roseate couple stage that is no less than a fairy tale! Words are indeed less to define the beauty of The Riviera by Ferns N Petals.